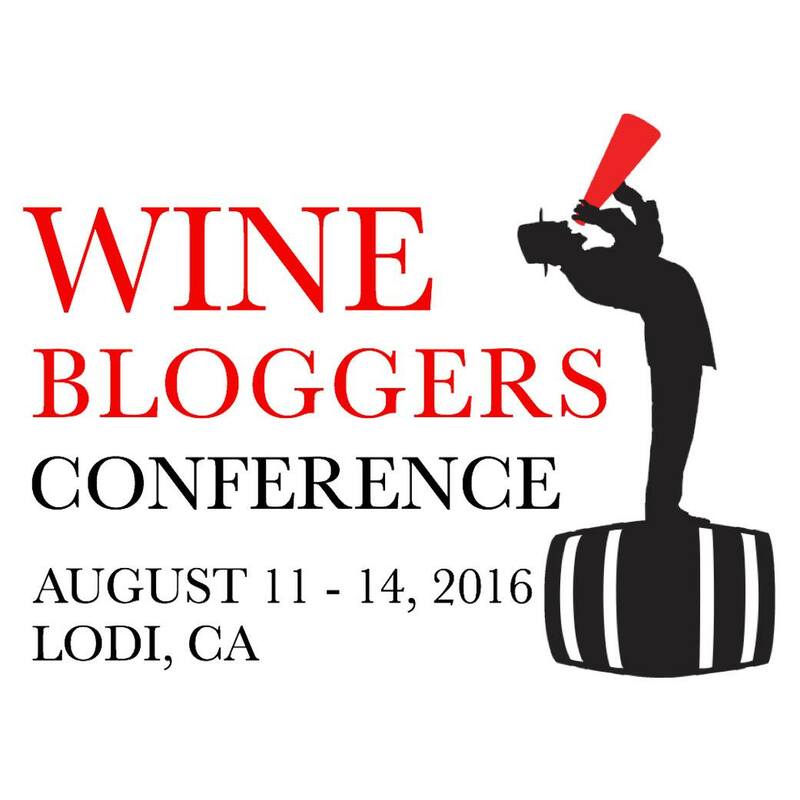 After a little hesitation, I finally signed up for the Wine Bloggers Conference taking place in Lodi, California from August 11th-14th. Why did I wait so long? Well, I wasn’t sure what to expect, really. But after chatting with a few other wine bloggers (Traveling Wine Chick in particular) and Public Relations Pro Heather Atherton, I was convinced it was a weekend not to miss! 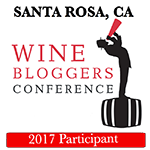 I am very excited to attend my first blogger conference and that it will be specifically for people who blog about wine. In the past five years or so, I have moved more towards the grape and have had the opportunity to travel to different wine regions throughout Northern California, and write about my experiences. A big reason for this is because I have the best travel partner in Andy, as shares my love for food, wine and travel. I look forward to a weekend full of learning, making new friends, networking, incredible food, and of course tasting wine. 9:55 AM – History of Grape Growing and Winemaking in Lodi: A talk on how Lodi became a pre-eminent wine region; moderated by Mark Chandler (Lodi City Mayor and former Executive Director of the Lodi Winegrape Commission), with panelists Aaron Lange (LangeTwins Family Vineyards Manager and Vice Chair of California Association of Winegrape Growers), Kevin Phillips (Michael David Winery/Phillips Farms Vice President of Operations), and Markus Bokisch (Bokisch Vineyards Owner/Grower). 11:00 AM – The Truth About Viticulture Panel: Moderated by Stuart Spencer (Program Director of Lodi Winegrape Commission and St. Amant Winery Owner/Grower/Winemaker), with panelists Tegan Passalacqua (Turley Wine Cellars Director of Winemaking), Stan Grant (Viticulturist, Progressive Viticulture), and Chris Storm (Viticulturist, Vino Farms). 3:00 PM – Live Wine Blogging (White & Rosé): The Wine Bloggers Conference’s pre-eminent event, in which 25 winemakers have five minutes each to pour their wine, present their story, and answer questions from a table of bloggers. At the end of five minutes, winemakers will rotate to a new table. Bloggers will analyze and describe their impressions live via social media or their blogs. 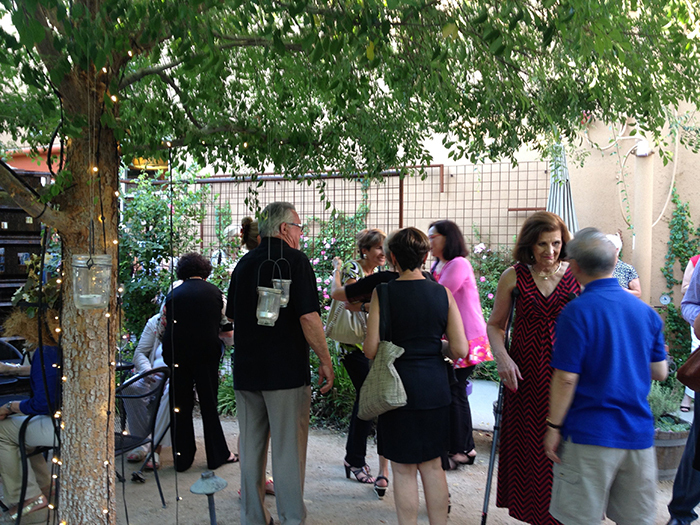 4:00–8:30 PM – Excursions into Lodi Wine Country: Eight different excursions going to eight different Lodi winery/estates; each excursion to include hands-on winery or vineyard activities, tastings, and dinner. 2:15–3:15 PM – Wine Blog Award Winners Panel: Five winners of the 2016 Wine Blog Awards tell their stories; including Sophie Thorpe from Berry Bros. & Rudd, Mary Cressler from Vindulge, Jill Barth from l’Occasion, Susan Manfull and Jerry Clark from Provence WineZine, and moderator Sujinder Juneja from Town Hall Brands. 4:30–5:30 PM – From Passion to Pro – Getting Paid to Write About Wine: Moderator Randy Caparoso (LoCA’s lodiwine.com and The SOMM Journal Editor Editor-at-Large) discusses how to make the jump from personal blogging to paid wine journalism, while sharing secrets of their success, with panelists Debra Meiburg MW (Debra Meiburg Master of Wine), Jameson Fink (Wine Enthusiast Magazine) and Deborah Parker Wong (The Tasting Panel Magazine, Vineyard & Winery Management, and Consorzio Italia diVini & Sapori). 5:30-7:00 PM – Wines of the World Receptions featuring Wines of Alsace from France, Yealands Family Wines from New Zealand, and wines from the Consorzio Italia diVini & Sapori from Italy. 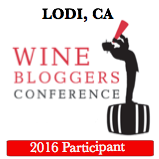 9:00 –9:30 PM – Wine Blog Awards Presentation: Presentation of 2016 Wine Blog Award winners will be presented their awards. 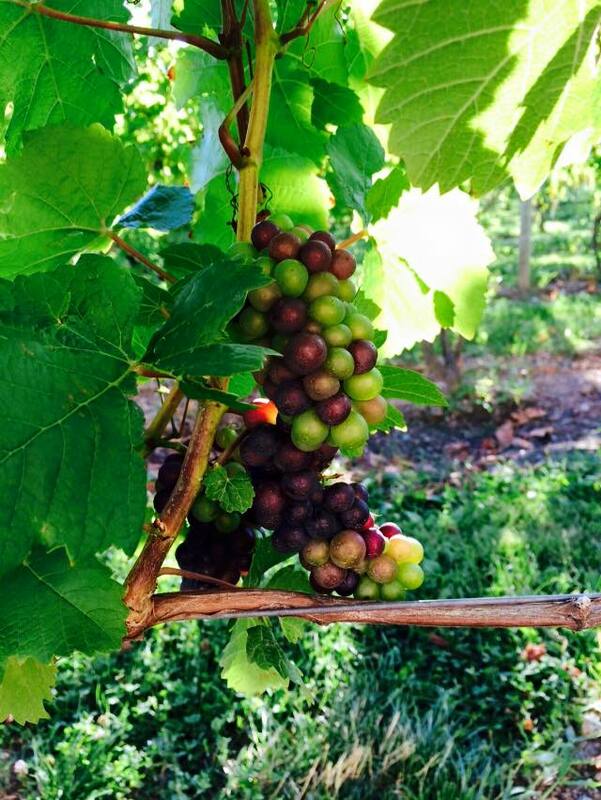 • The Big Jump – Austin Beeman (of Understanding Wine, former Ohio wine retailer and Bonny Doon Director of Marketing) discusses why wineries are “desperately seeking” the skills of wine bloggers. 10:45 – 11:45 AM – Blogger Reports: Five-minute reports shared by fellow bloggers describing what they are doing to contribute to the world of wine blogging. You can find me there from Friday-Sunday morning! 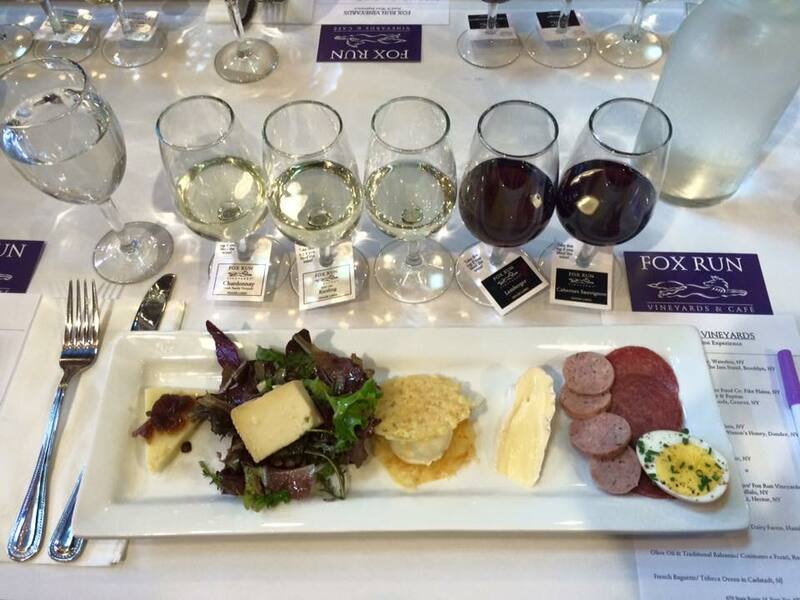 You can find the Wine Bloggers Conference on Facebook here. 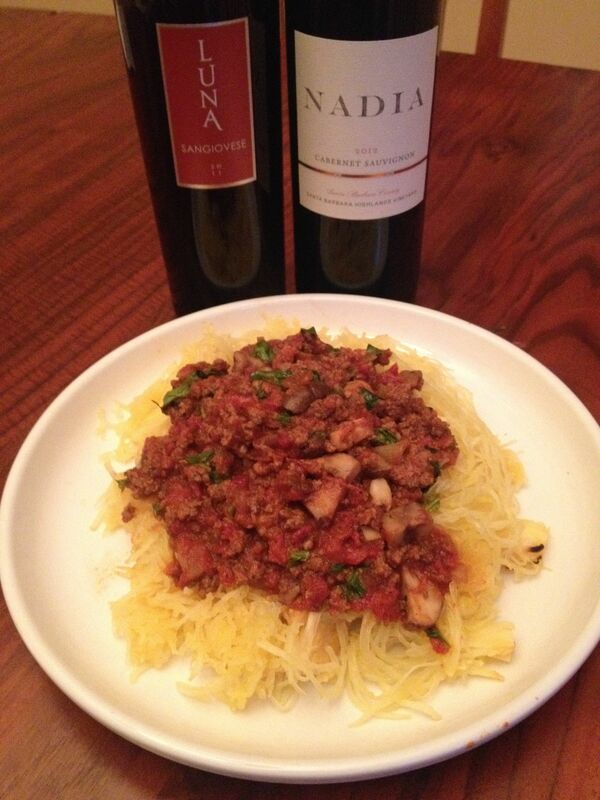 Today’s “Flights by Night” features a Sangiovese and Cabernet Sauvignon matched up with my Spicy and Sweet Tomato, Beef and Mushroom Sauce over Roasted Spaghetti Squash. 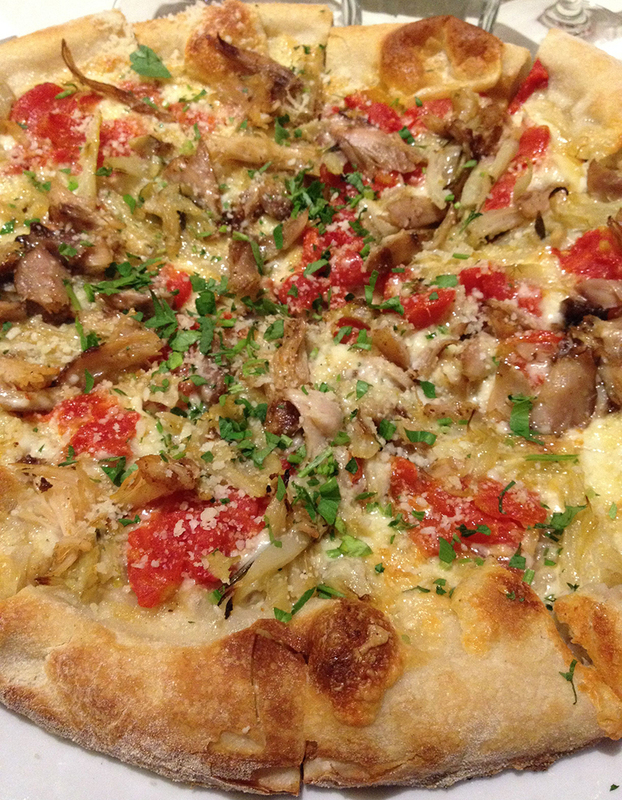 A traditional pairing with any spicy red sauce would be a sangiovese, and we chose one by Luna Vineyards. Most sangiovese have an acidic body accented with bright, red fruit flavors, very similar to the flavor notes of a tomato (that of course would be the main ingredient in a red sauce). 😉 The acid in the wine fends off the heat of the red pepper flakes in the sauce. Then, I wilted 1 cup fresh basil into the sauce right before serving. The other wine we paired with dinner was a bottle of Nadia Cabernet Sauvignon. This makes sense because of the richness of the beef in the sauce. Also, most of our 2012 Cabernets are just getting old enough to enjoy now in late 2015, because they have aged for 3 years. Their tannins have softened and the fruit is lush. Besides, most wine produced domestically is made to drink sooner than later, so don’t wait too long to open that bottle you’ve been aging. Nothing is worse than opening a bottle that is over the hill (besides opening a bottle that is corked)! Cheers! 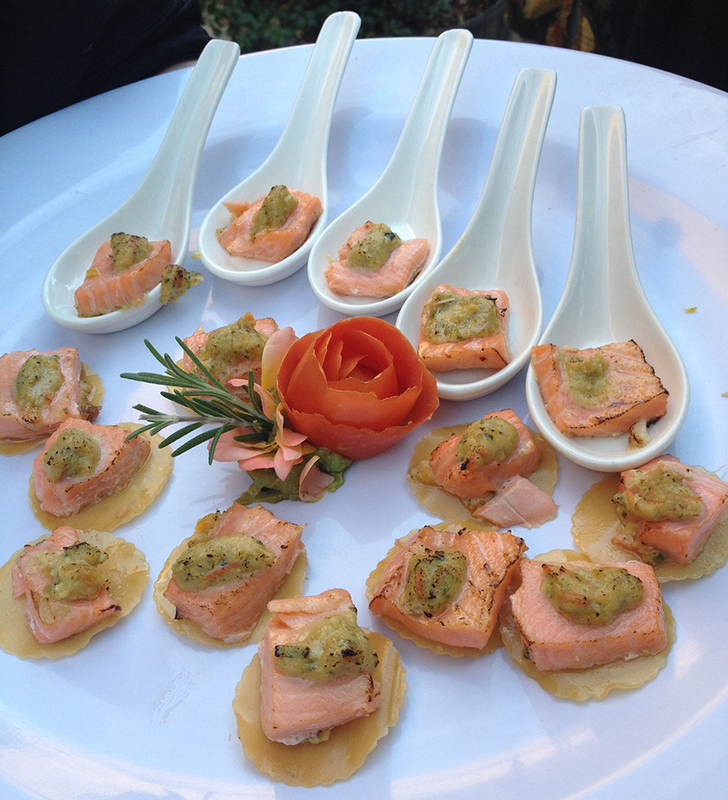 Hello food and wine lovers! Today is the start of a new series called “Flights by Night”. Each post is intended to be a short and sweet glimpse of some of the Paleo/Primal meals and wine pairings that Andy and I enjoy when we cook at home. Perfect to give you ideas for dinner and short enough to give a quick read. First up was Tuesday night’s dinner: Beef sliders with blue cheese and mushrooms, on tomato and red onion stacks, and a side of Brussels sprouts. 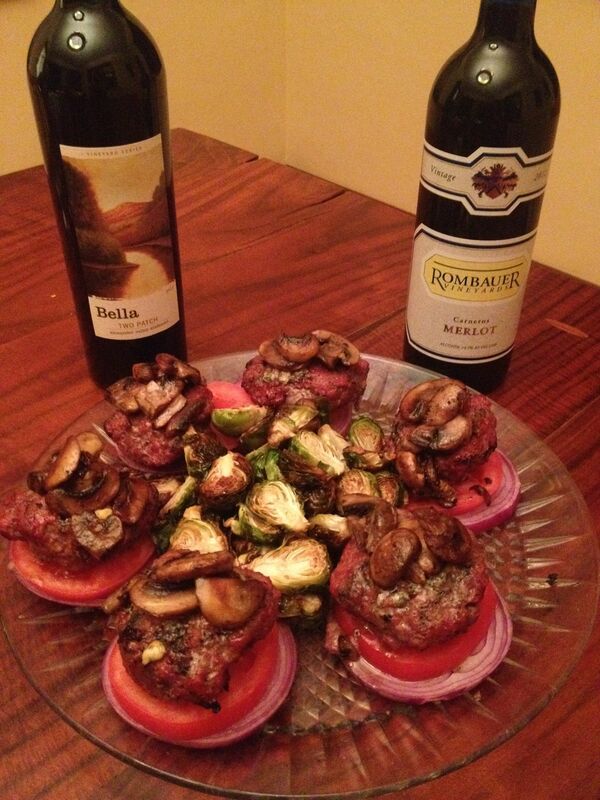 We paired the burgers with Bella Winery Two Patch Zinfandel and Rombauer Merlot. 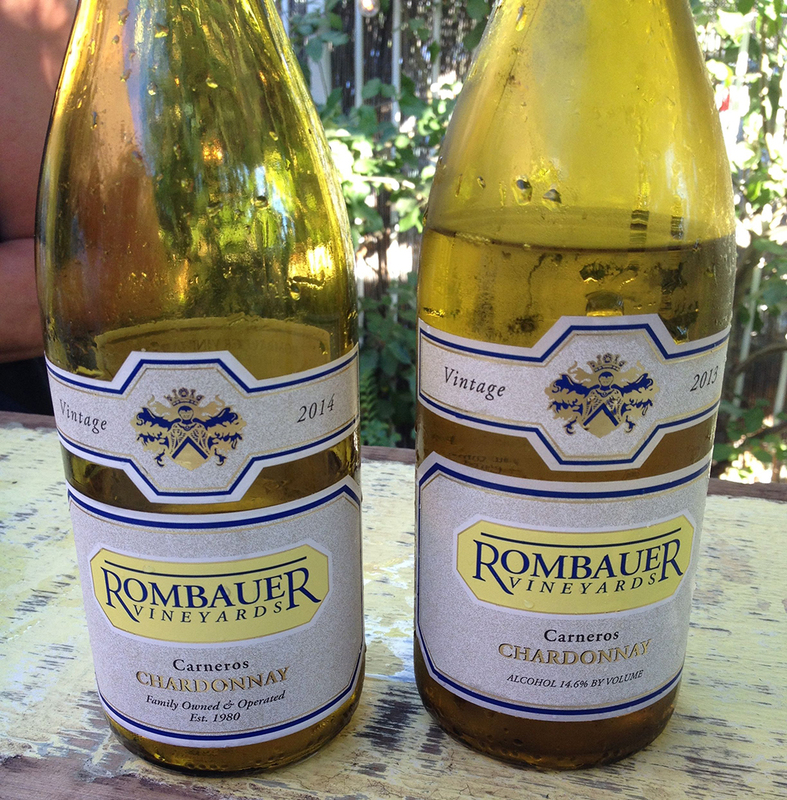 The Zinfandel was an obvious pairing with the burgers, but the Rombauer was a special choice for a Tuesday night. Andy says, “it’s (the Rombauer Merlot) a soft, round wine with a nice touch of oak and cocoa flavors. 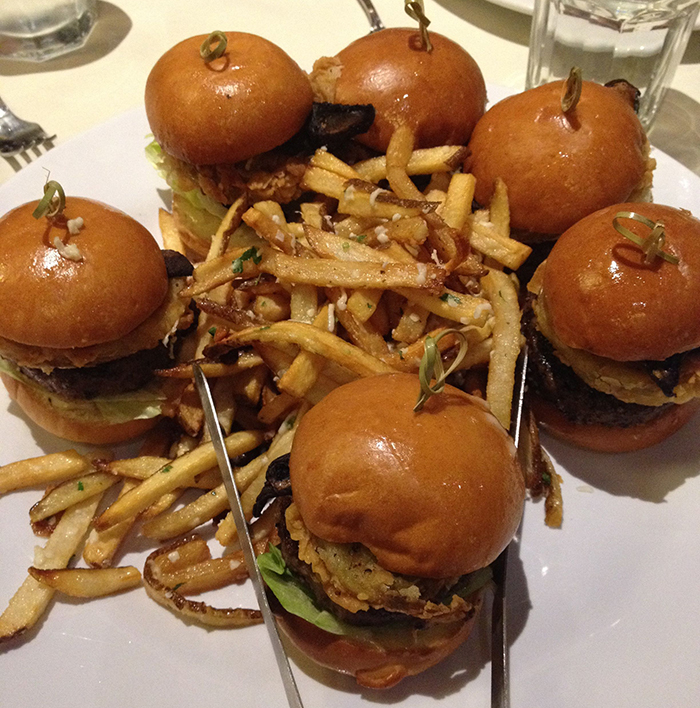 Very long finish.” I thought the fruit in the Merlot was a great match for the mushroom topping on the burgers. Recently, two of Italy’s leading wineries released their first rosé wines—Mezzacorona from Trento, and Sicily’s Stemmari—each reflecting native varietals and terroir, and Andy and I were fortunate enough to sample them. 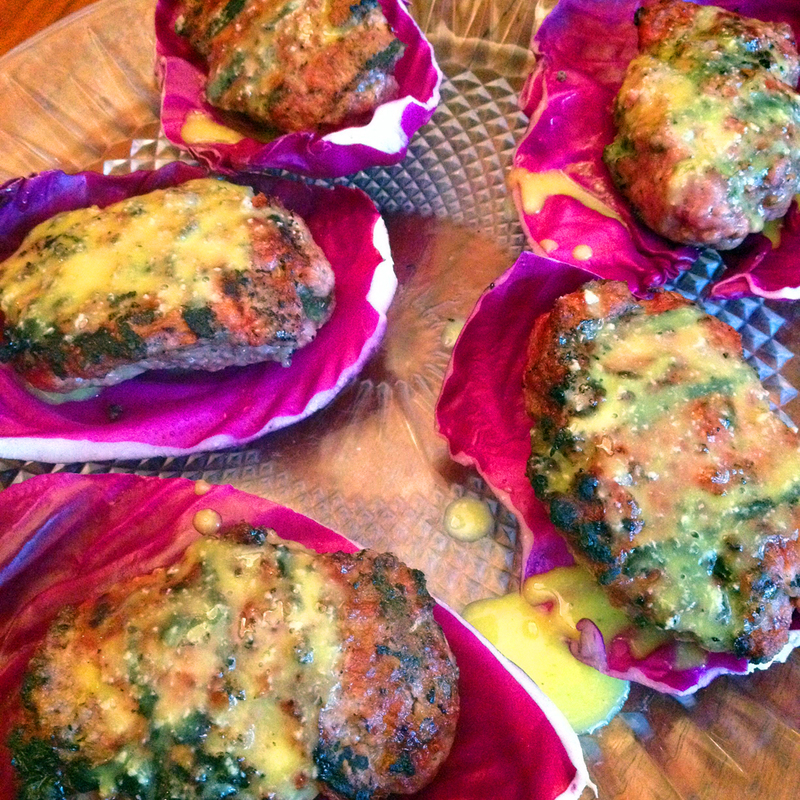 Ground pork burgers with an aioli dressing in a red cabbage shell. The meat mixture was a pound of ground pork and 4 ounces ground chorizo. 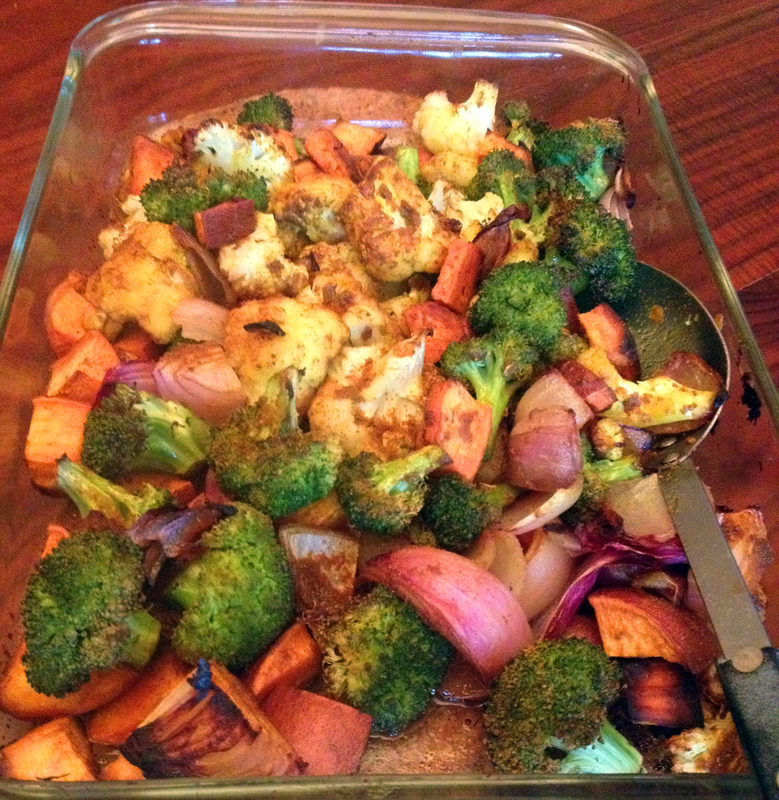 On the side we had a medley of roasted vegetables roasted in coconut oil. 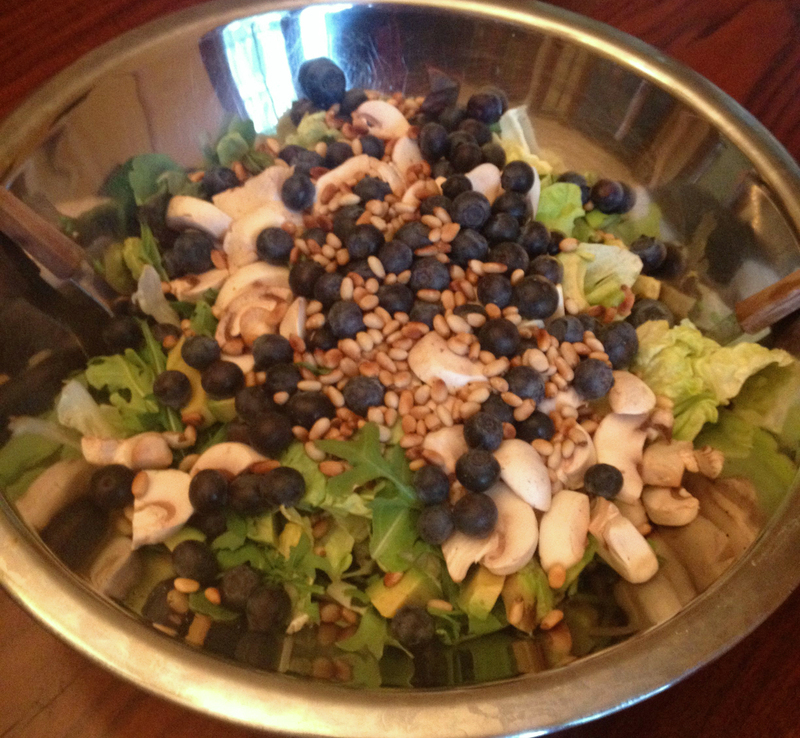 We also had a salad with the meal (as we almost always do), studded with mushrooms, blueberries and toasted pine nuts. 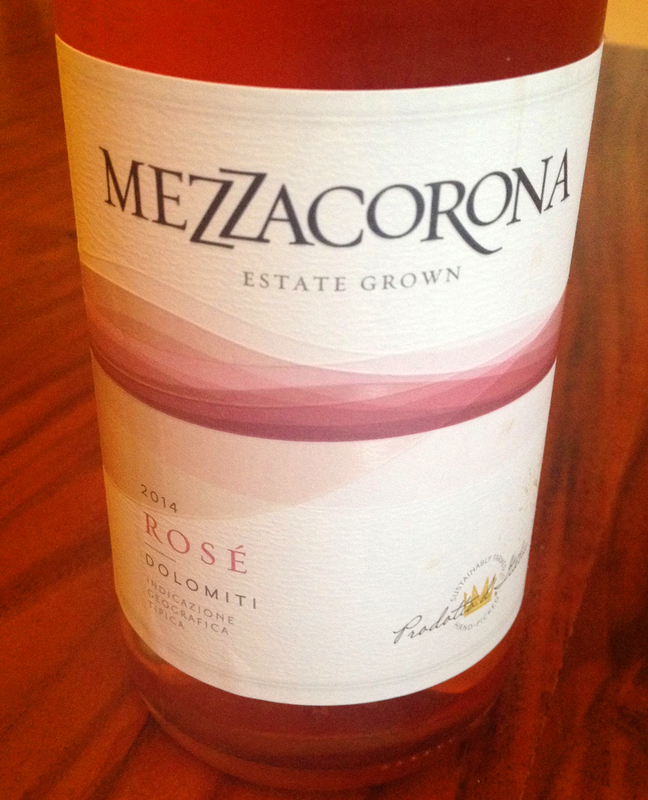 Mezzacorona’s Rosé is made from 100% Lagrein grapes, a local variety grown along the Adige Valley north of Trento, where Mezzacorona calls home. 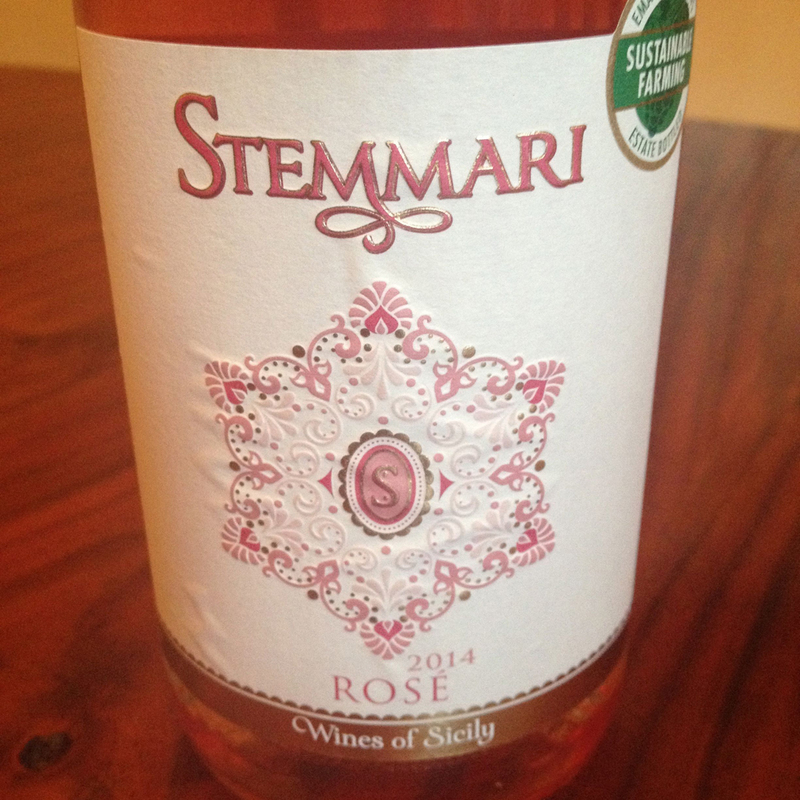 The Stemmari Rosé is produced from 100% Nero d’Avola, Sicily’s most famous grape variety, which is cultivated on sandy soils in the Ragusa province. For more information about Mezzacorona go to www.mezzacorona.it or visit Mezzacorona on Facebook here and follow the brand on Twitter at @MezzacoronaWine. To learn more about Stemmari, go to www.stemmari.it; visit Stemmari on Facebook here and follow the brand on Twitter at @StemmariWine. 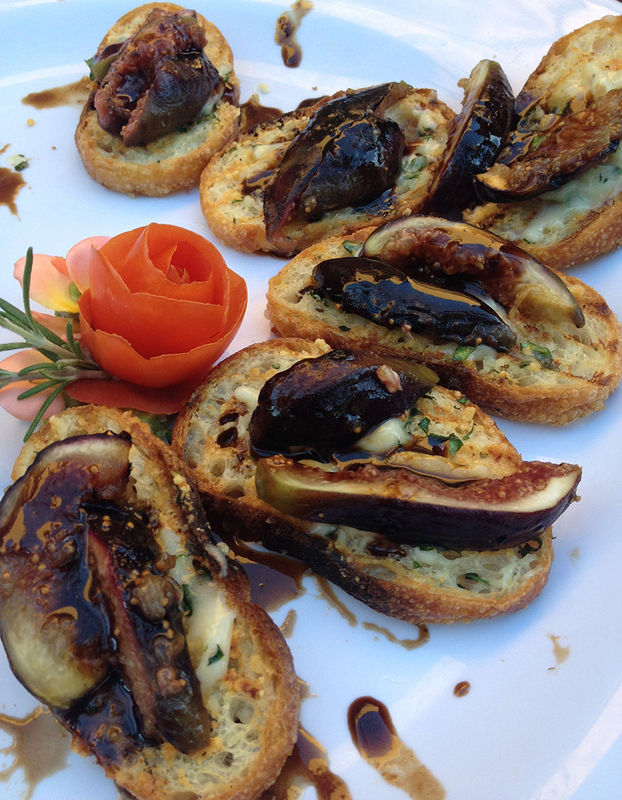 Indian cuisine is one of the most interesting food and wine pairings. Tandoor Chef has recently developed a pairing tool to help you choose the best compliment (wine or beer) to their restaurant quality authentic Indian cuisine. And to celebrate the upcoming National Drink Wine Day on February 18th, my friends at Tandoor Chef are giving away a $250 wine gift card. You can enter by clicking this link! Speaking of enhancement of food, Tandoor Chef has developed a line of gluten free items, which I will be reviewing very soon and doing a wine pairing of my own. 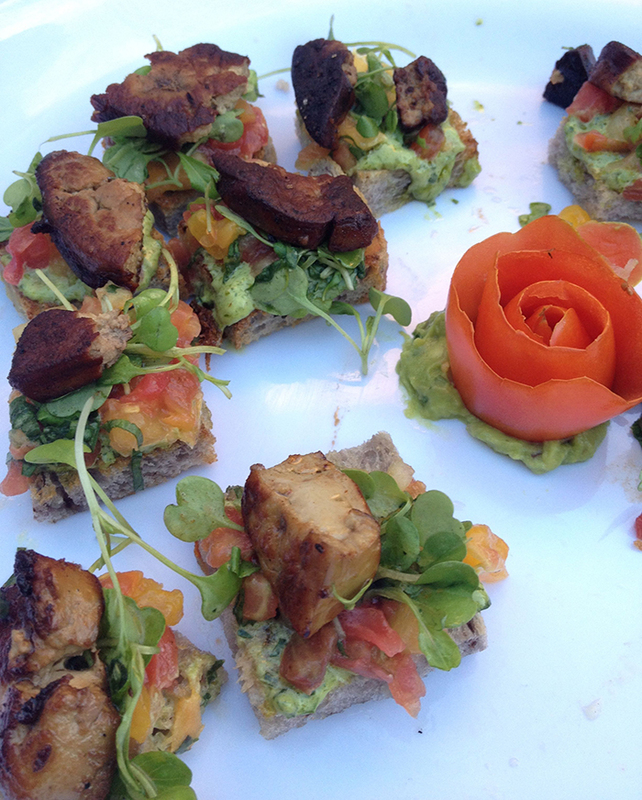 They also have 11 selections under 300 calories per serving for those of you watching your waistline. 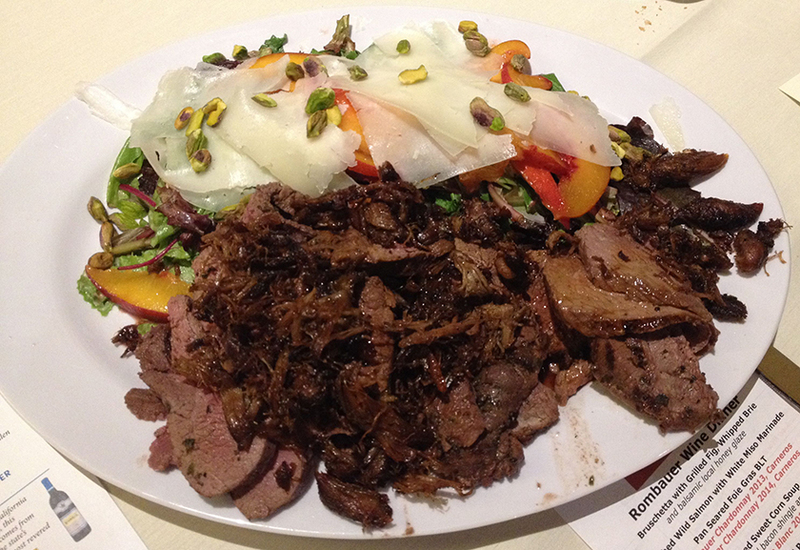 You can find Tandoor Chef on Facebook here, follow them on Twitter here, on Pinterest here, and on Instagram here. 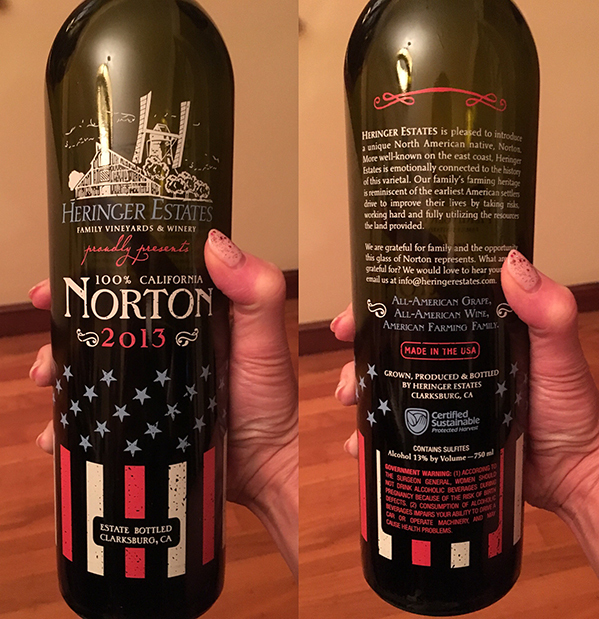 Hope you’ll join us for National Drink Wine Day on February 18th and enter to win(e)! 😉 Good luck! 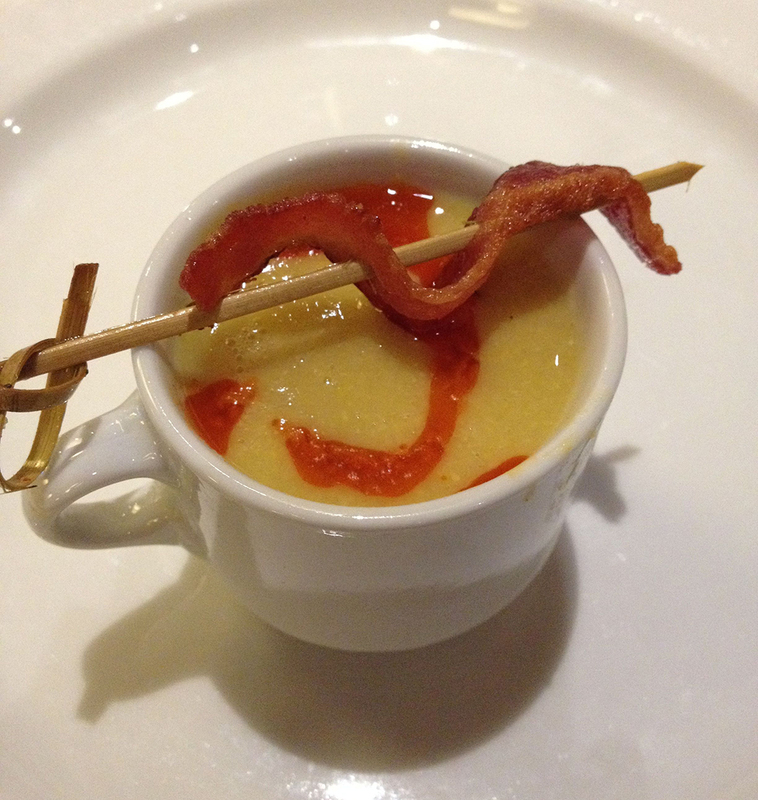 Ultimate wine pairing: Rhubarb Ketchup and New Harbor Sauvignon Blanc. Yes, believe me. It happened. I made butternut squash fries and a nifty little “ketchup” to pair with them. It turns out that the wine I happened to also be sampling was a perfect match for the tangy, tart New Harbor Sauvignon Blanc. Here’s the recipe, it’s very simple. Chop rhubarb into 1 inch pieces and finely dice the onion. Heat 1 Tbs olive oil in a pot and sauté the onion until it’s translucent. Then turn down the heat to low-ish/medium and add the rhubarb. Then add the molasses, salt, and stevia, and about 1/2 cup of water. Cook on low heat until the mixture becomes a thick ketchup consistency. Its just that easy. Serve on top of potatoes, pork, chicken, or better yet, lamb burgers!